Product dimensions: 25.5x5x4 inches. 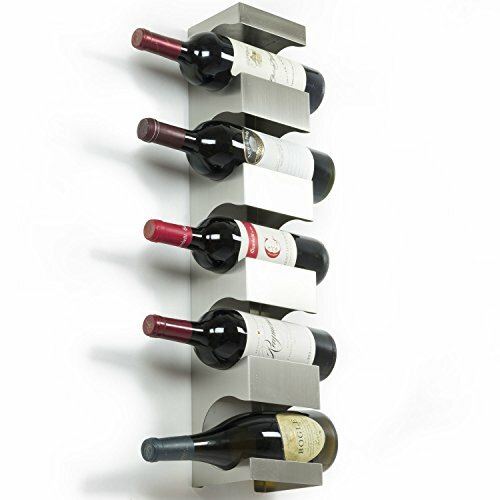 Different wall materials require different wall mounting screws and anchors, use ones suitable with your wall material (screws and anchors are not included) The Wall Mounted wine rack features a luxury design for wine display. Water Jet cut to precision, this stainless steel wine rack offers a unique display that can enhance any part of your home. This single wall mounted wine rack can be single mounted or grouped to display your favorite wines on your kitchen, bar, or favorite room. They look great; enhance any wall in your home! 100% brand new and high quality bottle rack with top shelf section.